I had gotten myself a copy of issue 109 of The Walking Dead blank cover variant comic book and I seen on the Internet and also Twitter that others sketched artworks on them so I thought I would give it a try. 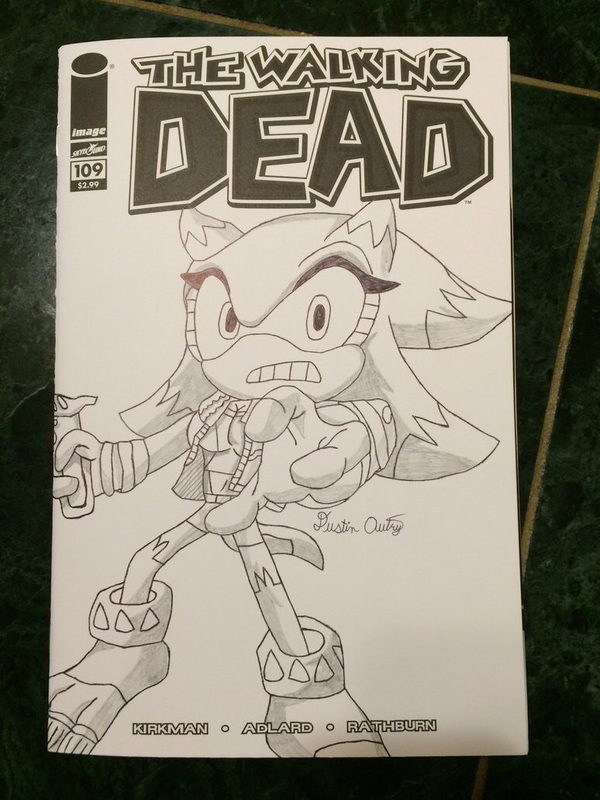 I sketched my Sonic FC on the cover with Rick Grimes's jacket and after the sketching was done I simply added some shading to finish the sketch. Now that it's complete the one of a kind Violet sketch variant is now ready to be viewed. Hope you like how the sketch came out!